Catastrophes such as the April 23 mass murder of 10 Toronto pedestrians deepens bafflement about those committing these heinous crimes. 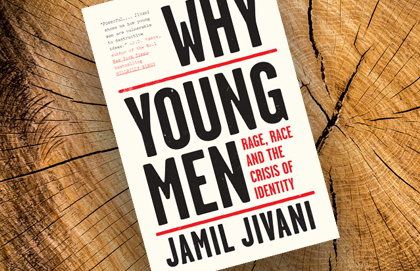 In Why Young Men: Rage, Race and the Crisis of Identity, Jamil Jivani draws on his own background of angry dislocation to explore the "whys" – and "why nots" – of male ultra-violence. By getting on the school bus on that gray-sky morning in fall 2003, I revealed a secret to the world: I was illiterate. At least I was according to the public school system. I was the lone grade eleven student on the bus, because only tenth-graders had to come to school that morning to complete a test proving they could read and write at their grade level. All the other kids in my grade had the morning off. I should have been sleeping in, too, but I had failed the test the year before and had to rewrite it to free myself of the “illiterate” label. Anyone who saw me on the bus that morning would also label me illiterate, just as the school had. Why else would I be there? Why else did I want to cry so badly as I buried my face in my bookbag at the back of the bus? Why else did I feel like such a loser? I actually could read and write—well enough, in fact, that less than ten years later, I would graduate from Yale Law School. But at sixteen, I wasn’t motivated to try at all in what I considered a rigged system designed to work against people like me. That system wasn’t just school, but everything else around me, too. It was me against the world, which was also the name of my favorite Tupac Shakur CD at the time. To use a cliché, I was one of those young people who fall through the cracks. My hopes and dreams weren’t captured by the institutions that were supposed to guide me to a positive life. And I was desperate to ﬁnd an alternative way to live. Every hour that I was supposed to spend doing homework and studying for tests was instead going toward ﬁnding a way out of the rigged system I was born into. That day on the bus was one of the toughest of my life. Pretty soft for somebody who wanted to be a gangster, right? I contemplated dropping out of school altogether, just to avoid the embarrassment of exposing myself as somebody who couldn’t read. But weeks earlier—with tears in her eyes—my mom had pleaded with me to ﬁnish high school. It was hard for me to say no to her. I promised her I would get my diploma, hoping that eventually I’d ﬁnd my way to a place where school didn’t matter. Unfortunately for me, I needed to pass that literacy test in order to graduate. With the weight of that “illiterate” label on my shoulders, I rode the bus to school and wrote the test. A few weeks later, I got a letter saying I had passed. Thankfully, I could, in fact, read the letter. My hopes and dreams weren’t captured by the institutions that were supposed to guide me to a positive life. And I was desperate to ﬁnd an alternative way to live. In the years before I wrote the literacy test, I was caught up in a cycle of rejection. At eight, I’d seen my black and Muslim father belittled by police ofﬁcers, which convinced me that the world wasn’t fair to people who looked like him or me. As I grew up, I was also frequently stopped or followed by cops and security guards on my way to and from school. It’s hard to feel you belong when your mere presence on the street, at the mall and at the bus stop draws the suspicion of people who are supposed to keep your community safe. My father, whose experiences introduced me to feeling as if the world is against you, also rejected me by not being around for most of my childhood. He was rarely at home and left the responsibility of raising three kids to my mom. When he was around, my father regularly spoke to me with more anger in his voice than I’d heard from police ofﬁcers. Many of my teachers didn’t seem to like me much, either; they treated me like an untrained dog that wouldn’t focus or do as it was told. They never seemed able or willing to make my classes useful to me and the problems I was facing. At school, we never talked about the police, about racism or about broken families. I had to read books that didn’t meet my sense of urgency, and I was told I was a bad student when I ran out of patience. In response to all this rejection, I rejected the world around me. I gave up on learning, having a peaceful family life or feeling like I would ever belong in my own country. After I wrote the literacy test the second time, the rejection got worse. I was even less optimistic about my prospects for a good life in a system that had labeled me in such a painful way. At seventeen, I doubled down on my search for an alternative way to live, carrying the Hollywood gangster subculture I’d learned about from rap music to a point where I couldn’t keep up with it anymore. I was always one small but signiﬁcant step away from being caught up in the drug trade, and I started planning for a future where I would earn a living as a criminal. I tried to buy a gun for the ﬁrst time—to make a move into selling drugs—and I realized I was about to turn into the very thing I was angry at the cops for accusing me of being: a criminal. The tears of shame I’d cried on the bus to write the literacy test poured from my eyes once more. You don’t get to win a game of chicken when you’re playing by yourself. I learned that the hard way. Searching for moral structure and purpose, I turned back to rap music. On the same CDs that I listened to for inspiration on how to be a tough guy, I also found political and social commentary inspired by the Nation of Islam and similar groups. I heard lyrics about the so-called corruption at the core of the Western world. I quickly went from wanting to be Tupac to wanting to be Malcolm X.
I looked to the internet to learn more about the ideas I heard in rap music. Online, I found propaganda and conspiracy theories that sought to answer the questions my teachers seemed unable to address. People on the internet wanted to talk about cops, racism and broken families. I also found books and articles explaining that I wasn’t a loser who should feel rejected; rather, there was indeed something wrong with the world around me. The rigged system should be rejected, not me. I could dream of a new world— one in which I wouldn’t be so angry, sad and alone. One in which I would know what a man is supposed to be, even without my father around. In the years when I was struggling to ﬁnd a way to belong in my own country, my mom and I also struggled to communicate. After graduating high school in 2005, I continued to be pulled in a number of different directions. I spent my ﬁrst year as an adult studying for college classes, attending a Nation of Islam mosque with one of my best friends, hanging out with another friend who was in and out of prison, working as a dishwasher and meeting up with radical groups I found preaching anti-Western messages online. Some of these inﬂuences had to give. I’m lucky that college and then university won in the power struggle for my future. It wasn’t an easy ﬁght. There were plenty of times I could have gone all in with my friend in the Nation of Islam mosque or my friend in the streets. There were times I was tempted to follow my father into the restaurant industry instead of attending classes, but my anger toward him steered me away. The online radicals I met also offered a community that was welcoming and traditions to be part of, but I couldn’t get comfortable with their ideas. College and university gave me opportunities to write about all of the above. For a kid who once felt the shame and sadness of being labeled illiterate, a pen and paper (or a keyboard and monitor) opened up a new world of expression. And it was also therapeutic knowing that with every word I wrote, I was climbing out of the hole I had helped dig for myself in high school. Finally— with the help of mentors and professors who believed in me—I was admitted to Yale Law School in 2010, ready to ﬁght new battles with myself and the rest of the world. My white and Christian mom was an important part of my journey from the failed high school literacy test to law school. In the years when I was struggling to ﬁnd a way to belong in my own country, my mom and I also struggled to communicate. 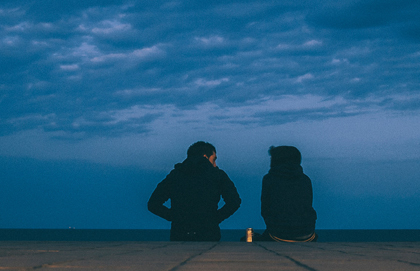 I didn’t know how to tell her about what was going on in my life, and she didn’t know how to ask. Working through the challenges I faced as a young man also involved learning how to communicate with my mom across gender and race differences—and she had to learn to communicate with me the same way. Once we understood each other even a little bit, it was easier for me to look at the world and see more than rejection. When I’d been out of law school for a few years and had gained some experience as a lawyer, community organizer and law professor, I felt compelled to write this book about young men who are vulnerable to being pulled in different directions, as I was. Across the Western world, an increasing number of young men are feeling disconnected from the countries they call home. Schools, police, family networks, faith institutions, media outlets, politicians and changing economies all struggle to connect with young men, or fail to meet their needs. These gaps between young men and their countries create spaces for other inﬂuences to compete for hearts and minds. Sometimes these other inﬂuences win. And sometimes these inﬂuences are destructive. This book details what I’ve learned in trying to understand why young men in the West, of all races and religions, are vulnerable to falling outside the reach of mainstream morals in the countries they call home. I also want to raise some ideas that could better protect young men from the negative inﬂuences seeking them out. Above all, I want to develop the language and reference points to help families communicate about what’s going on in the lives of young men, as my mom and I learned to do. Most of this book is set in majority black and Muslim communities because that’s where I’ve lived and worked, but my hope is to transcend racial and religious differences to highlight common experiences that shape the lives of young men. I hope to highlight voices that are often underrepresented and overlooked, and that increasingly require our collective attention. I don’t intend to displace or take away from efforts to discuss the experiences of young women and others whose voices must also be heard. In this respect, I am following the example set by President Barack Obama’s My Brother’s Keeper initiative, which focuses on the lives of young men without undermining other efforts to achieve justice and equality. The impetus for this book was a conversation I had with journalist Nahlah Ayed on The National, the CBC’s ﬂagship nightly newscast. We ﬁlmed the interview in London in February 2016, while I was en route from Toronto to Brussels to conduct research that appears in these pages. I was nervous because Nahlah is a world-renowned journalist and I was still relatively new to being on TV. I answered most of the questions reasonably well—until I was caught off guard by her ﬁnal one: Why young men? Nahlah wanted to understand why journalists like her end up talking about young men like me so often. It is true that we appear in news headlines an awful lot, and most of the time, it’s not for good reasons. I buckled under the weight of the question. I was overwhelmed by how many directions it could go in. I settled on focusing on the economic pressures faced by young men, explaining that when they don’t believe they’ll be able to support themselves or their families, they may experience trauma that leads to extreme thinking and behaviors. These gaps between young men and their countries create spaces for other inﬂuences to compete for hearts and minds. The answer wasn’t very good. I stumbled through it. It was too short and too simple. Leaving the TV studio, I felt like a failure. As a young man myself, I know the struggles and triumphs of young men. I researched these struggles and triumphs for years as a student. My work is designed to help alleviate these struggles and reproduce these triumphs. My answer should have reﬂected these personal and professional insights. But the interview was over, so I carried the question with me. I wrote this book so I could give the world a better answer. The stories I tell make young men come across as good guys and bad guys, victims and perpetrators, heroes and villains. I have changed some personal details and also made use of composite characters. What I ask of anyone who reads this book is to look at the young men in these pages with the intention of understanding them, just as you might try to understand your son, brother or father. If you can view them in this way, you may just ﬁnd that this book will help you better understand the young men in your life, too. Excerpt from Why Young Men by Jamil Jivani © 2018. Published by HarperCollins Publishers Ltd. All rights reserved.